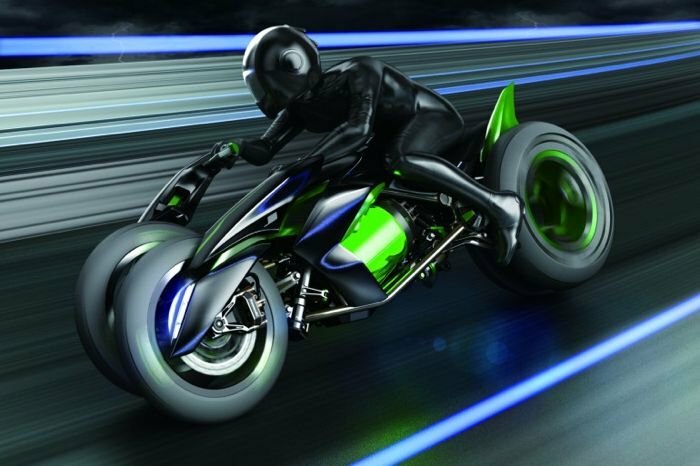 Kawasaki has shown off a new three wheeler EV concept at the Tokyo Motor Show, as you can see from the photos below, this new electric vehicle concept looks like something from the Tron movies. 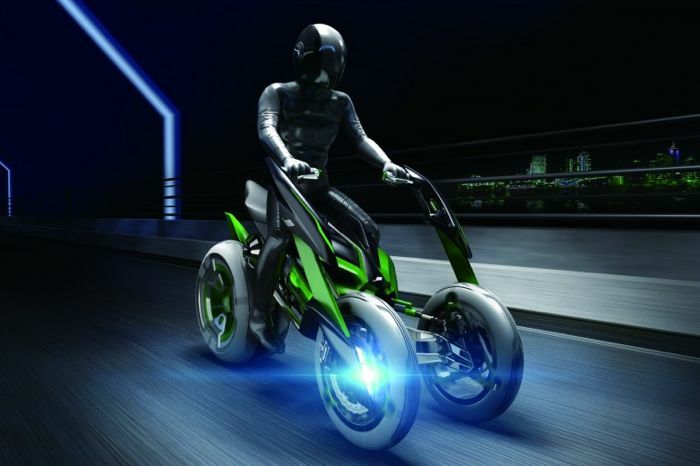 The Kawasaki J features a single wheel at the back and two wheels at the front, which allows for this concept EV to be used in different modes, either a two wheel or three wheel mode. 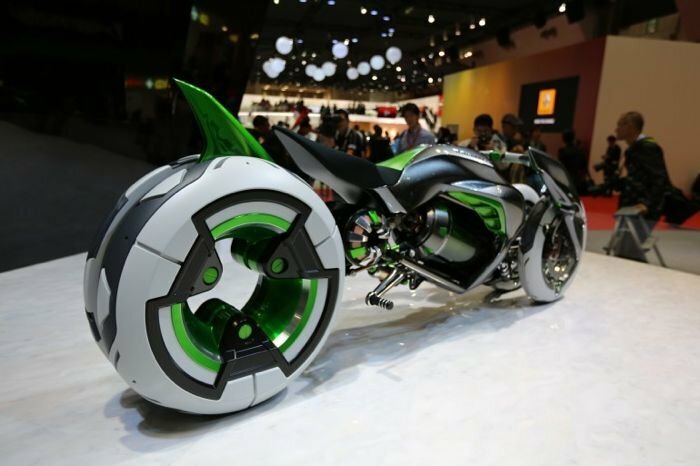 This allows for the Kawasaki J to be used in a low riding position like a motorbike or a comfort mode, which looks similar to the way you would ride a quad bike. The Kawasaki J is controller by two levers, which are similar in their position to the ones found on a ride on lawnmower, it certainly looks interesting from the photos. 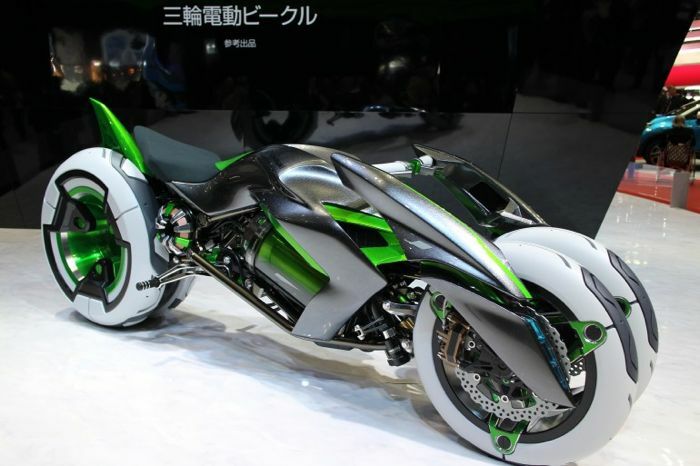 It doesn’t look like Kawasaki has any plans to put the Kawasaki J into production, it is being used to showcase some of the company’s new technology like their proprietary battery management technology and also their high capacity GIGACELL battery.